Cruisers who drive or fly to their departure cities on the same day their cruises begin are often missing out on cruise-and-stay options. 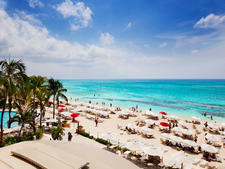 Many cruise ports, chock full of history, culture and culinary delights, provide fantastic pre-cruise land vacations. But how do you decide which cruise port cities are worth a few extra days? Cruise Critic took a look at some of the cruise industry's most popular cruise ports to see which ones offer the best experiences. Factors included how much each city has to offer, how easy it is to get around and how close the cruise departure port is to the center of town. 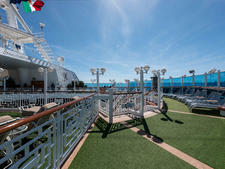 What follows are the best cruise port cities in which to spend a few days before or after your trip. From the smells and tastes of Cajun and Creole cooking to the sounds of street jazz, New Orleans is a feast for the senses. Take it all in while exploring the city's varied neighborhoods. Hop on the St. Charles streetcar for a ride through the Garden District, and walk the historic French Quarter. (If Bourbon Street partying gives you a headache, choose antique shop-rich Royal Street instead.) 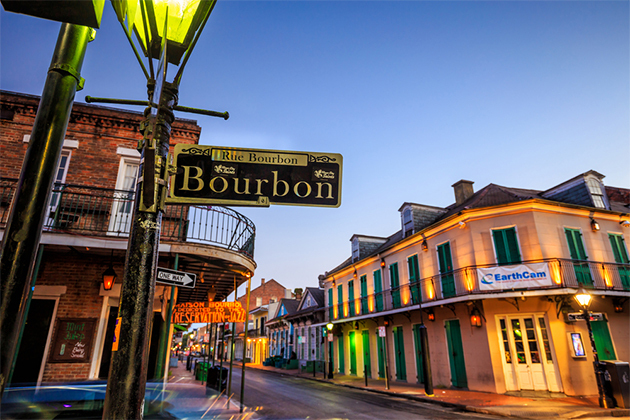 Give your sixth sense a poke with a haunted history, cemetery or voodoo tour. The city is walkable; just bring a good map, and avoid the less-trafficked areas. Cruises depart from the Erato Street and Julia Street cruise terminals in the Central Business District, within short taxi rides of most hotels. Broadway, the Empire State Building, the Statue of Liberty, Central Park, the Bronx Zoo, MOMA, the Guggenheim and the Metropolitan Museum of Art -- if you can't find something to keep you busy in New York City, you're doing it wrong. There's no such thing as a free ride in the Big Apple, but the subway is reasonably priced and can get you anywhere throughout the five boroughs. 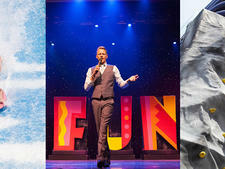 (Look for an unlimited weekly pass if you'll be in town long enough.) Most cruise ships leave from a midtown pier, making it a snap to get to your ship. Despite being more than an hour away from the Port Canaveral cruise terminal, Orlando is one of the best cities for a pre- or post-cruise stay, thanks specifically to Disney World, Universal, SeaWorld and the Kennedy Space Center. Whether you want to pal around with Mickey or tour Hogwarts at the Wizarding World of Harry Potter, anyone who enjoys amusement parks will have a blast during an Orlando stay. Unless you're staying at a hotel on the Disney or Universal park premises, getting around can be a challenge; you'll most likely need to rent a car. Check with your cruise line for transfer options from Orlando to Port Canaveral. A hip, outdoorsy city, Seattle has much to offer, including Pike Place Market (the oldest continually operating farmers market in the U.S.), the Experience Music Project, the Chihuly Garden and Glass museum, and the Space Needle. If the weather is good, head outdoors. Three national parks -- including the magnificent Mt. Rainier -- are within a two-hour drive of the city. Cruises depart from two terminals in downtown Seattle. Free bus service from Pier 66 (where the Bell Street Pier Cruise Terminal is located) along the waterfront and to downtown runs every day from 6 a.m. to 7 p.m. Friendly Vancouver is easy to get around. Choose to walk, take a harbor ferry, use the SkyTrain or splurge on a hop-on, hop-off bus. Don't miss 1,000-acre Stanley Park. Walk or bike it, stop at the Vancouver Aquarium, and check out the display of totem poles from First Nations artists. Don't skip quaint cobblestoned Gastown, where Vancouver got its start. The Canada Place cruise ship terminal is 12 blocks east of Stanley Park and within an easy 10- to 15-minute taxi ride of most downtown hotels. Unless you merely want a beach break before your cruise, San Juan is the one of the few departure ports in the Caribbean that warrants spending a few extra days. 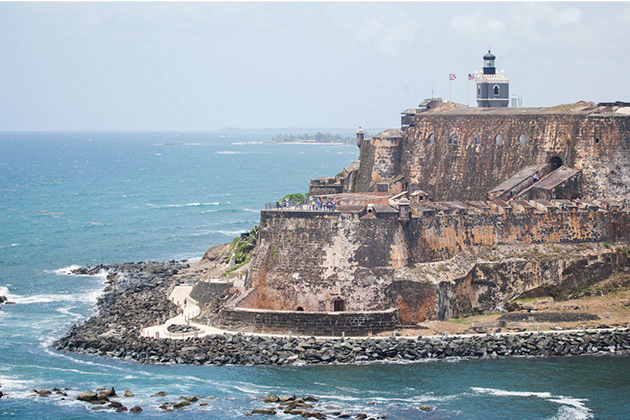 Check out the city's historic sites, including El Morro and San Cristobal Fort. The former dates back as far as 1539. You'll also want to make your way out to the lush El Yunque rain forest. Make sure to save time for some rum tasting. Cruise ships depart from two terminals; one is much closer to town than the other, but both are easy taxi rides away from any hotel in San Juan. The capital of Spain's Catalonia region, Barcelona is a playground for art- and architecture-lovers (not to mention fans of good food and trendy shopping). Don't miss the funky La Sagrada Familia, perhaps architect Gaudi's most famous creation. 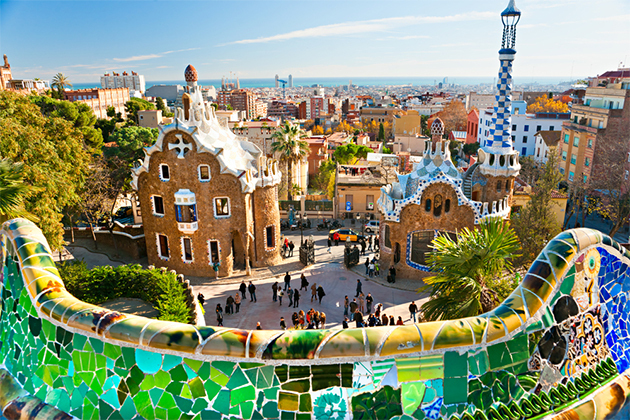 Another Gaudi design is the quirky Park Guell, a pretty public space overlooking the city. Barcelona is easy to navigate on foot or by public transport. Cruise ships dock on the waterfront, about a 20 minute walk from Las Ramblas. Shuttle buses run from the cruise terminals to the Christopher Columbus monument at the foot of Las Ramblas. 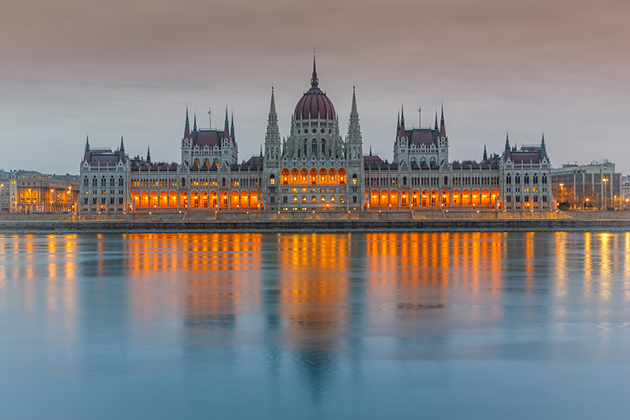 You can't hop on an oceangoing cruise ship there, but many Danube River cruises depart from Budapest. Your first stop should be the Castle District, with its cobbled streets, scenic medieval courtyards and the Matthias Church, where Franz Josef was crowned king of Hungary in 1867. The brave of heart should head to the Szechenyi Baths, the largest thermal bath complex in the city. Getting to your riverboat is a cinch; ships dock right in the center of town on both sides of the Danube. From canals and waterfront palazzos (the most iconic being Piazza San Marco) to cafe-lined streets, Venice is charming, romantic and full of history. Superbly walkable, the floating city is also a short boat ride away from must-visit islands like Murano and Burano. Smaller ships depart from Stazione Marittima and can be reached by vaporetto, but most cruisers will need to take a taxi or arrange a cruise ship shuttle to the farther afield Venezia Terminali Passeggeri. Ocean and river cruisers alike will want to spend a few extra days in Amsterdam. Take a canal ride through the city, visit the world-famous Rijksmuseum and Van Gogh Museum, and take a sobering tour of the Anne Frank House. Everything is centrally located, so it's comfortably walkable. Ocean cruises leave from two piers. Passenger Terminal Amsterdam is centrally located within the city; it's about a five-minute taxi ride from Central Station. Felison Terminal is outside of the city; it's served by public transport, or you can take a taxi (about $60 one way). The departure point for river cruises is near Central Station, an easy cab ride from any centrally located hotel. 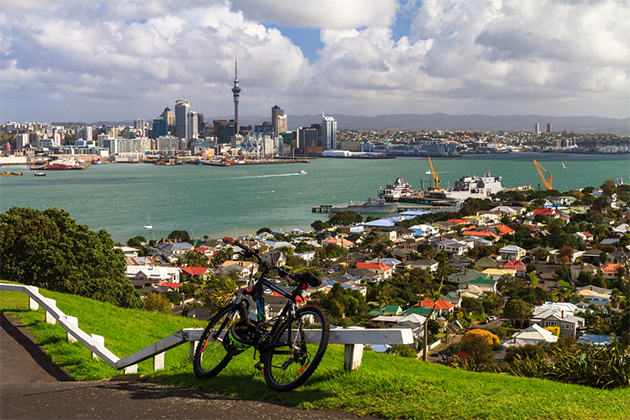 Friendly, green and walkable are just three of many words that describe Auckland. Start at the Sky Tower for 360-degree views of the city; you bungee jump from the top if you're brave enough. At street level, visit the Auckland Museum to learn about the country's Maori history and culture. The outdoorsy set should check out Rangitoto Island for hikes through lava fields and into lava caves. Getting to your cruise ship on embarkation day is a snap; ships dock at Princes Wharf, right in the heart of downtown Auckland. There's something for everyone in Hong Kong, but the city's most prominent feature is Victoria Peak. Take the Peak Tram funicular to the top for panoramic views of Victoria Harbour, Kowloon and beyond. Spend the day exploring the restaurants, shops and museums at the summit, or go for an easy hike along its walking trail. And don't forget the markets; there are several of these bargain-lover delights throughout the city. Ships dock at one of two locations: Ocean Terminal in Victoria Harbour or Kai Tak on the East Kowloon waterfront. 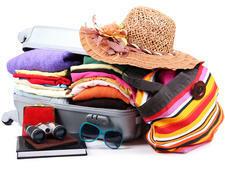 Both can be reached by ferry, bus, taxi or a pre-arranged cruise line shuttle. One of the world's largest retail hubs, Singapore is the place to pick up a few pre-cruise "essentials." But in between your mall and department store visits, take some time to tour the city's colonial district. Foodies will want to visit the hawker markets, where all kinds of street food can be found. The easiest way to get around the city is by MRT (train), though taxis are also plentiful. Ships depart from two cruise terminals. The Singapore Cruise Centre is a 15-minute taxi ride from downtown; the MRT stops there, too. The Marina Bay Cruise Centre is further afield and requires a train ride with a longish walk, a taxi ride or a transfer booked through your cruise line. Take your pick from dozens of things to see and do in Sydney, from a tour of the Opera House and an adrenaline-pumping Sydney Harbour Bridge Climb to surf lessons at Bondi Beach or a visit to Taronga Zoo to feed the kangaroos. Getting around Sydney is easy. There's a monorail, plus trains and buses to get you everywhere. There's also a hop-on, hop-off bus that hits the city's main attractions. 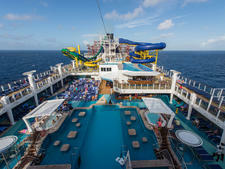 Catch your cruise ship from one of two terminals. Bigger ships depart from the Overseas Passenger Terminal in Circular Quay; public transport abounds there. Smaller ships dock outside of the city at White Bay; a pricey taxi ride is your best bet. Tango, museums and wine: You need several days in Buenos Aires to get it all in, but the must-hit sites include the Museum of Fine Arts, MALBA, Museo Evita, Plaza de Mayo and Recoleta Cemetery. 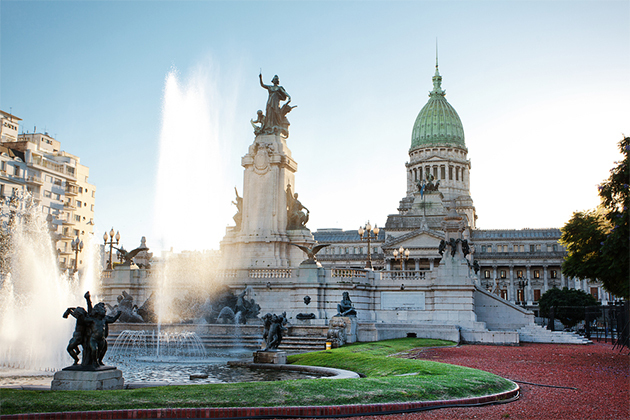 Though Buenos Aires is a large city, the historic and cultural highlights are all situated within a compact and walkable area. If you've got a few days, consider booking a tour into the country's wine region or a visit to an estancia (ranch). Cruises depart from a terminal about a half-mile from the city center, so taxis are your best bet.